A business case captures the reasoning for initiating a project or task. It is often presented in a well-structured written document, but may also sometimes come in the form of a short verbal argument or presentation. The logic of the business case is that, whenever resources such as money or effort are consumed, they should be in support of a specific business need. An example could be that a software upgrade might improve system performance, but the "business case" is that better performance would improve customer satisfaction, require less task processing time, or reduce system maintenance costs. A compelling business case adequately captures both the quantifiable and unquantifiable characteristics of a proposed project. the performance indicators found in the business case are identified to be used for proactive realisation of the business and behavioural change. adaptable - tailored to the size and risk of the proposal. consistent - the same basic business issues are addressed by every project. business oriented - concerned with the business capabilities and impact, rather than having a technical focus. comprehensive - includes all factors relevant to a complete evaluation. understandable - the contents are clearly relevant, logical and, although demanding, are simple to complete and evaluate. measurable - all key aspects can be quantified so their achievement can be tracked and measured. transparent - key elements can be justified directly. accountable - accountability and commitments for the delivery of benefits and management of costs are clear. The vast majority of unsuccessful projects fail not because of poor project management, but because of poor decisions with respect to the choice of projects. A good business case helps to make right decisions and avoid horrible waste. There is a fallacy that a business case is a thick tedious manuscript, written by professional consultants in an incomprehensible language. It's printed on high-quality paper stock and placed onto the top shelf of an executive's office to be used as a breeding ground for dust bunnies. This is not a business case; this is a disaster. The sole role of a business case is that of a communication tool, composed in a language that the target audience understands and with enough detail to facilitate decision making on his or her part. There's no magic formula when it comes to the size of a business case. The size is irrelevant. What is relevant is that the business case provides all the necessary information to make the job of the decision maker possible. Brevity is always a virtue. 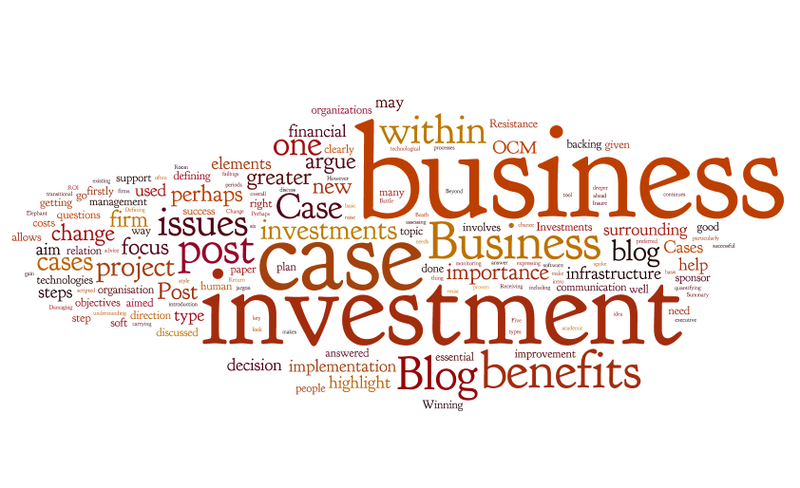 As a matter of fact, a business case does not have to be a written document at all. It could be in the form of a verbal message, but the structure and the content is, nevertheless, the same as if it were written up. This is it, no mystery, just a communication tool. I have been asked so many times about the best structure for a business case that we have placed a template onto our corporate website (www.bizvortex.com). It consists of the sections I will describe here, and you'll find that it is quite flexible. Nothing is really set in stone, including the headings. This is an important point, because flexibility is what you need to put a truly convincing case together. A business case is not a government form in which you tick boxes as you answer a gazillion questions; it's a medium for your brilliant business thinking. Always written last, the Executive Summary presents the essence of the business case, in a condensed format. Pick the most important points that allow for a coherent picture, but strive to keep it concise: it should not be longer than one or two pages. Certainly include objectives, proposed solution, benefits and costs, risks, and key dates. A mandatory change, something that needs to be complied with. This section can be structured in a few of ways. The first approach is appropriate for cases that deal with correcting a wrong. Describe the current situation and explain what the adverse impact is, be it of a financial nature or otherwise. Current state. Describe how the world is today. Future state. Describe how the world will look tomorrow, when the proposed change is implemented. The third approach, most appropriate for new opportunities, is to state what the case is proposing and describe why it is being considered. Why now? Use the structure that works for your situation. List several alternatives you considered, complete with benefits and costs, and risk assessment. Show how they align with such considerations as corporate and business unit strategy, vision, current priorities and other factors discussed in the blog I mentioned at the start of this piece. How many should you list? Three is a good number, five is too many, but never just one. You should use your judgment and include the appropriate amount of detail so not to overwhelm the reader and yet provide enough information for effective decision making. This is the old "know your audience" maxim, and it rings especially true here. Always state what the preferred option is and explain why it is preferred. It's usually appropriate to provide some ideas on how the implementation of the preferred solution should proceed, to show that you're presenting not a pipe dream but a carefully thought through solution. Rarely is it necessary to create an exhaustive plan, unless specifically required by the decision makers. Include all supporting information, such as cost benefit analyses, reference materials, calculations, and charts. The importance of a business case to its author is enormous. Present a solid business case, and you have positioned yourself as knowledgeable thinker and innovator. If noted by the decision makers, a promotion is certainly possible. In a case of a consultant, there will be repeat business. On the other hand, a weak business case is a career-limiting move. Sadly, I see a lot of business cases that are not worth the paper they're written on, and I always wonder how many careers are cut short as a result. I can't even fathom why this keeps happening in this day and age, when excellent resources, such as coaching, are available. From the perspective of the organizations, the stakes are equally high. A solid business case leads to well-informed decisions that are most appropriate in a given business setting, while the one that fails to provide adequate level of detail, or disregards relevant data, or makes incorrect inferences, or does any number of other things wrong, leads to suboptimal decisions that are very expensive to any organization, in terms of the time, money and lost opportunities. I'm convinced that the vast majority of unsuccessful projects fail not because of poor project management, but because of poor decisions with respect to the choice of projects. A good business case helps to make right decisions and avoid horrible waste.